A new walking event in Perthshire is set to attract even more hikers to get outdoors this summer. Joining an already popular stable of hiking and cycling challenges in Scotland, The Cateran Yomp will also raise cash for a poignant cause. What is it? The Alliance Trust Cateran Yomp is a 24-hour walk on the summer solstice weekend of June 25 and 26. It is for teams of people who can choose between challenge distances of 23 and 54 miles. 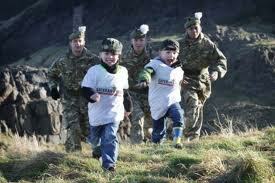 There will also be a Mini Yomp for families with young children. Funds raised will support the ABF The Soldiers’ Charity. What’s more: Robin Bacon, Chief of Staff at The Soldiers’ Charity, is delighted that the Cateran Yomp is being launched this summer. He has worked behind the scenes to support and push forward this event. He will also be taking part. For all fitness levels: What makes the Alliance Trust Cateran Challenge so appealing to walkers across a spectrum of fitness levels is the range of distances that can be walked. Teams of three to six people can choose to complete the 23-mile bronze challenge, the 37.5-mile silver or the full 54-mile gold. Obviously training is highly recommended for each of the distances, and walkers will find training tips on the Cateran Yomp website. The route of the Cateran Yomp: Starting at the town of Blairgowrie, the Yomp will head through rolling Highland Perthshire and Angus landscape visiting Kirkmichael, Spittal of Glenshee and Kirton of Glenisla. The Cateran Trail is one of a growing number of long-distance waymarked walking routes in Scotland and in total the circular route heads 64 miles through Perthshire and Angus. The path of the Cateran Trail was once used by the infamous “Caterans”, a lawless band of cattle thieves who inhabited the regions from the Middle Ages until the 17th century. These days the trail provides a wonderfully scenic and atmospheric path that has become increasingly popular among Scottish and visiting walkers. The future: The Cateran Yomp is set to become part of a three-year partnership between The Alliance Trust and The Soldiers’ Charity, with two thirds of the event’s proceeds going to The Soldiers’ Charity who provide lifetime support for serving soldiers and veterans. The remaining one third of funds raised will go to the Prince’s Scottish Youth Business Trust, which is a youth charity that supports self-employment and business creation among young people. Previous story I actually like swimming. Yes I do! Snap happy: A shiny new camera for my birthday! Any tips for Pyrenean cycle trip? 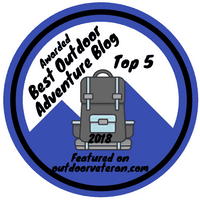 I specialise in writing about the great outdoors and adventure. I am a widely published journalist and also a multi award-winning blogger. I hope you enjoy my collection of news, ideas and inspiring stories on this website. You might also like to find out how I can work with you. I work, write and play about Scotland's great outdoors. I am pleased to be associated with Morrocco Media, a corporate and adventure sports video production, and sports video analysis company, based in Blairgowrie, Perthshire. I'm a widely published journalist, a knowledgeable and engaging web copywriter and a professional blogger. Why not call or email to find out what I could do to improve your business?